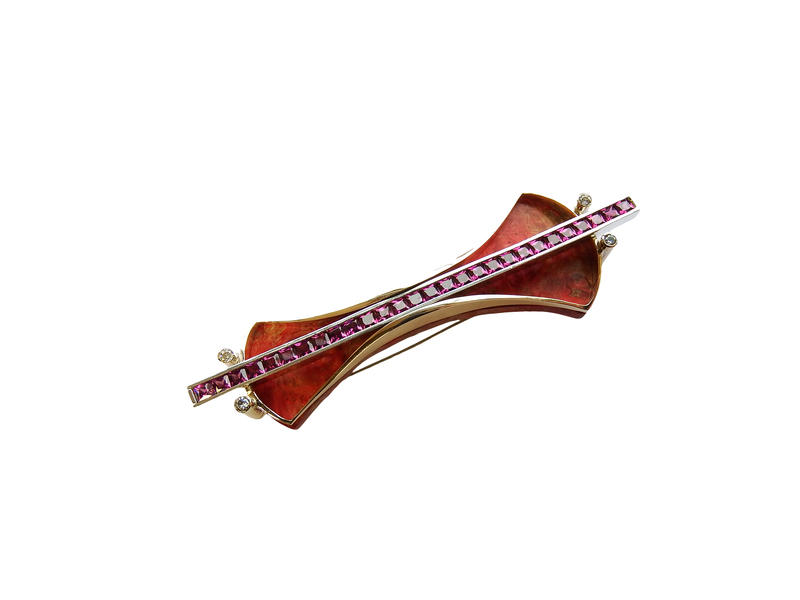 Art Deco gold and silver Violino brooch is like a music instrument. 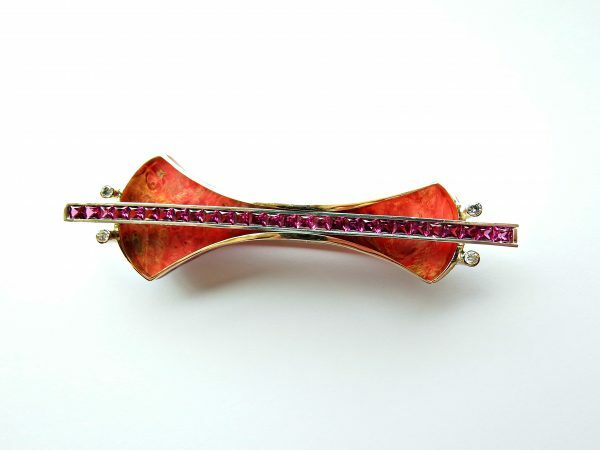 Brooches are making a big come back after years of rejection by younger generations. 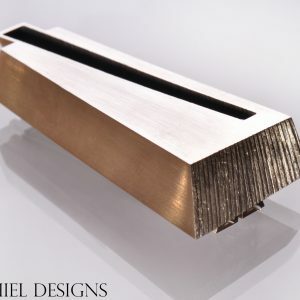 Art Deco has influenced many of beautiful designs before. Familiar, soft lines of string instruments played a big role in this project. Nine carat yellow gold silhouette, with four yellow gold tubes is adorned with diamonds. Total carat weight of them is 0.4 ct. 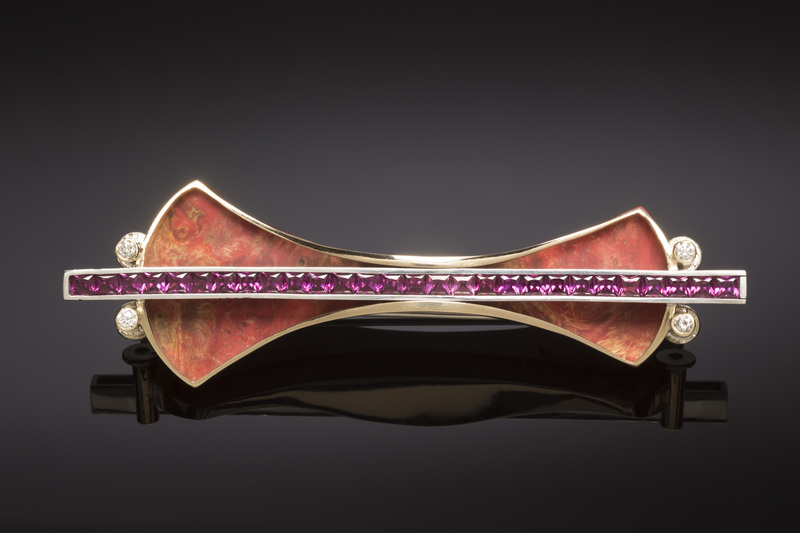 They are juxtaposed with a simplicity of long channel setting filled with princess cut rhodolite garnets in size 3mm. 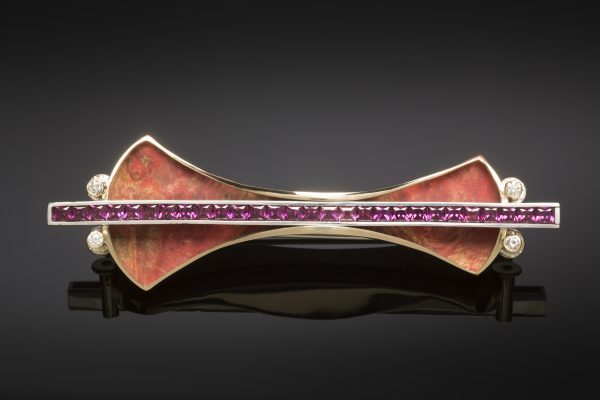 The shine of precious metal and gemstones is beautifully contrasted with the warmth of red stained wood. Hand fabricated silver double pin catch follows and completes the shape of the brooch. This project unites old style and tradition with a contemporary approach to fashion. Total length of brooch is 8.5 of cm, about 3.5 of inch. 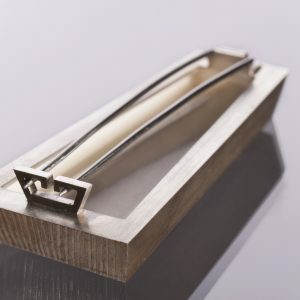 This brooch won 2nd place during Royal Dublin Society (RDS) Craft Awards in 2017.